Of course the Full guide, talk about everything it's inside and how works... so, probably you want to understand how works de D2GS Proxy. This guide it's for VirtualBox, in the case of VMWare it's almost the same, with a few interface differences. - Press Enter, and see in the task manager Window the D2GS.exe process, if it running, you are ready to go - If not, check your D2GS.reg file have all OK. If you still want to use the overhead chat, just go to the tiny black icon, press secondary boton over "Start_D2GS.sh" and press over "LeafPad" and put a # in front of the "Chat Block" IPTable rule, this will disable this function, save it and finally start again in the terminal using "./Start_D2GS.sh"
- Warden it's desactivated in the d2server.ini config. Here I am going to explain how build your own D2GS proxy in GNU/Linux Debian based distributions like Ubuntu. bm = Good Performance MAYBE escape some packet. kmp = More CPU impact but perfect packet string search. Great work, you have a solution for bot players? I believe that not posible via Hex code - Its something related with the patch of the d2gs and scanning process. al tut work fine, but how to add files (1.13c) and other txt to debian folder. And what .txt file are you talking about ? If that doesn't work it looks like your D2GS isn't hooked up correctly to PvPGN. Another escenario but very imposible it's the virtual machine was extreme slow - But how much ping difference you have ? You have the virtual machine inside that VPS ? 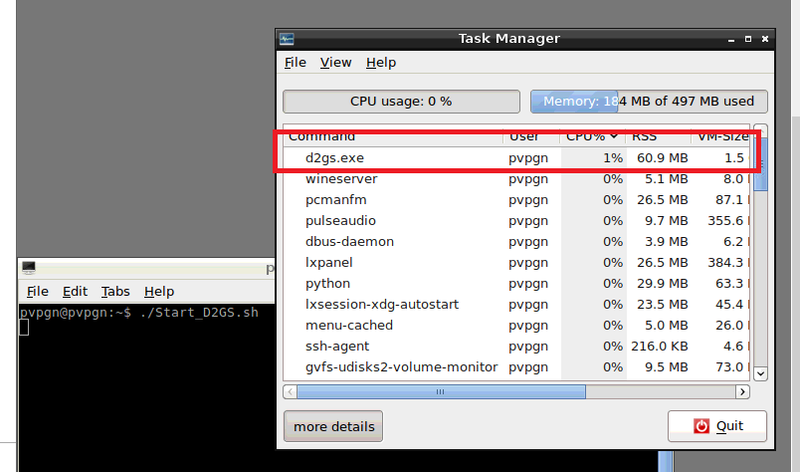 How much ms difference you have with normal D2GS and in a Virtual Machine ? I've heard that in tesseract d2gs it's possible to check the Patch_D2.mpq and don't let the user enter games with wrong patch, there's a way to do this ? Thats not part of the versioncheck.conf ? Got some problems in another machine, this one with Windows Server 2008, any idea what's the problem? After this it freezes in a black screen. Or its not mounting a disk - You must check probably its something related with that server. strangee.. with me it works! Character disconnected after transferring gold, there's any log of the blocked and rejected connections? this proxy developed by GecKoTDF in Linux not as simple as it seems, each server has to adapt its filter rules, otherwise it can happen these problems, even more when you use modified patch. There's a way to identify if the packets crashing my d2gs are attacks or patch problems? 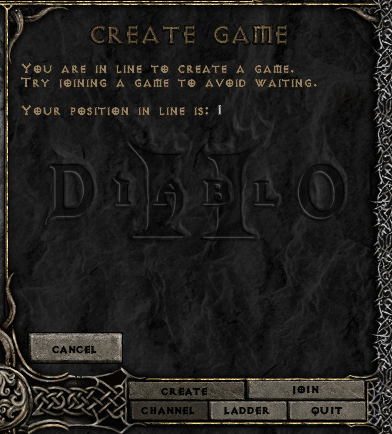 Just the first ladder of my server has been without d2gs crashes, there's several months with d2gs crashes almost every day..
my experiences, when it is attack, a log is almost always generated in D2GS-Hack.txt, but not always..
What's your experiences hosting a PVPGN? b1n, if you are capturing and saving all your packet sends, then it should be easy. I'd use something like PeerBlock to train what connections you have coming through and also manually track your logs. When it does get attacked and crashed, it'll be easy to line up the timestamps, nuke the IP, boom. Is there a particular reason you want the exact packets? If it is being attached, it should be easy to see. PM if you need any further help. in the past people said that would be certainly patch problems.. but after all those conversations I'm seeing that it's not sure it is patch problems.. I through that if it was the patch it will crash always with the same action of anyone, but that doesn't happen in this way..
Other PvPGN members also have this problem. It takes me between 10-15 days to halt the D2GS process. I improved the performance of my D2GS after reviewing the files in my Patch and re-emphasizing an auto-restart on D2GS every 3 days. I have almost no problems with my D2GS.